Our unit 601 at Shores of Panama is our home away from home. 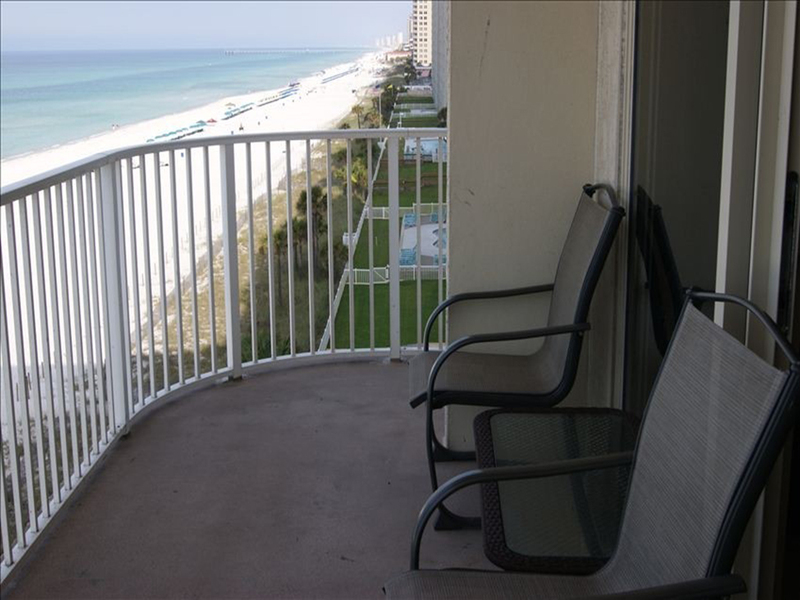 Panoramic views of the Gulf of Mexico greet you from the moment you open the front door through the living room with floor to ceiling windows to the wraparound balcony of this West corner condo. 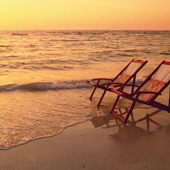 Imagine the clear aqua blue water, sugar white sand beaches and the beautiful sunsets. It’s a view you will never forget. Situated in a resort which offers 24 hour Security Services, the tropical, lushly landscaped grounds provide a stunning environment for unparalleled resort amenities. 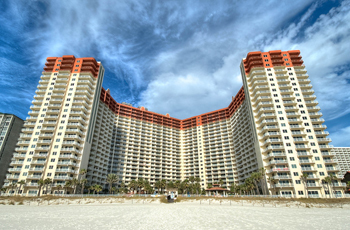 Play in the surf, relax on the beach or take a plunge in the fantastic Disney-designed 13,966 sq. ft. gulf side pool recently selected the best resort pool in North Florida. 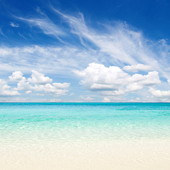 The premier aquatic complex also offers a large star shaped gulf side hot tub, kiddie pools, two tiki bars serving lunch and dinner, beach activities and rental services and a super-sized indoor heated pool with another giant hot tub spa. In addition there is a full service spa and kids club activity program on site. The Fitness Center features state-of-the-art fitness equipment. Consider the parking arrangement and you’ll realize you are somewhere special. Reserved parking on the 6th level of our parking garage provides quick and easy access to your condo unit. Located at the entrance to the hallway to the unit, you’ll enter without using an elevator. No more dragging your luggage from parking lots, over sky walks and through lobbies. No waiting in long lines and riding overcrowded elevators with our unit! Just park and walk in!! 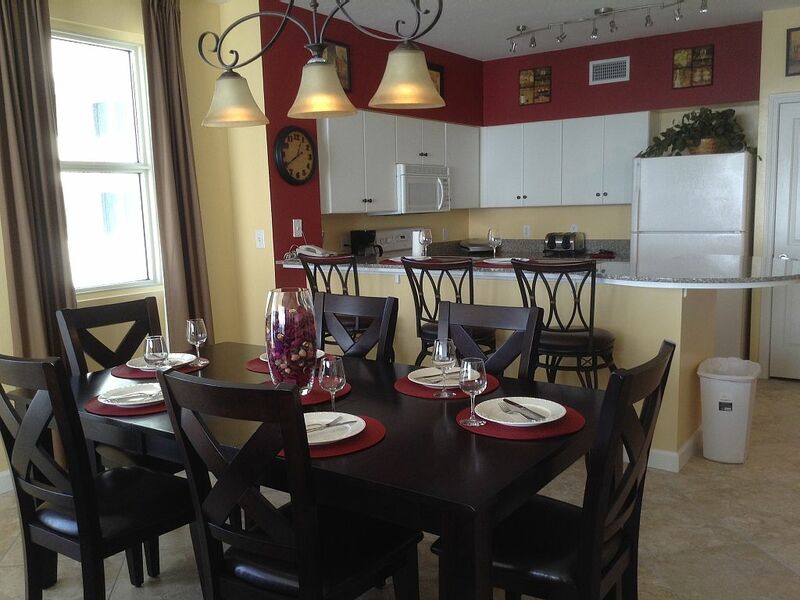 The condo features a spacious, open design to provide plenty of space for everyone. As part of our remodel we have tiled this unit so there is no carpet to be found. The bar/dining area has seating for up to nine people. 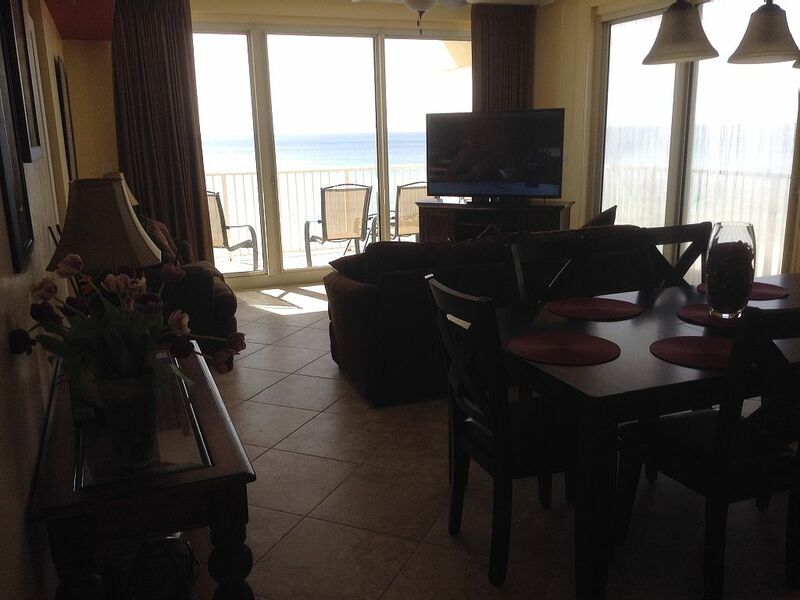 The living area offers a comfortable sofa and loveseat for watching the new 60' flat screen TV or enjoying the spectacular views of the beach and the ocean. 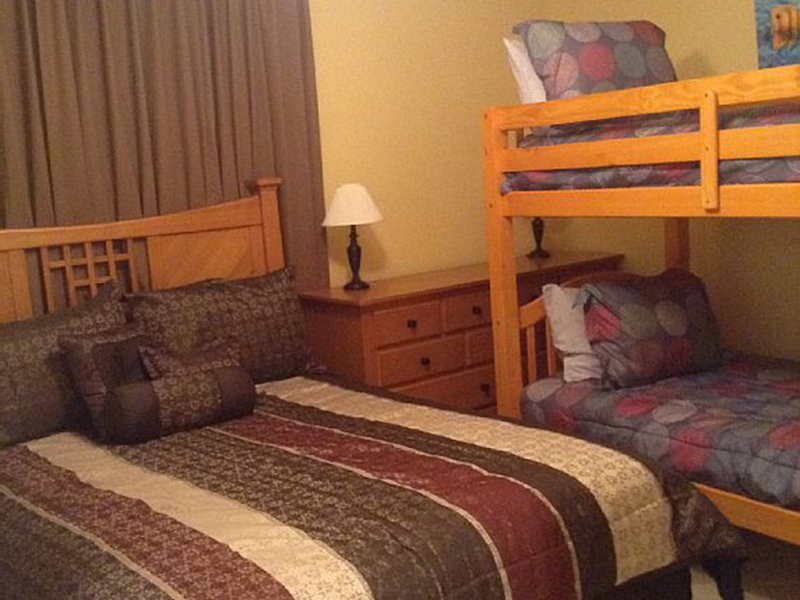 -The first bedroom has a queen plus we have added bunk beds to this large room. 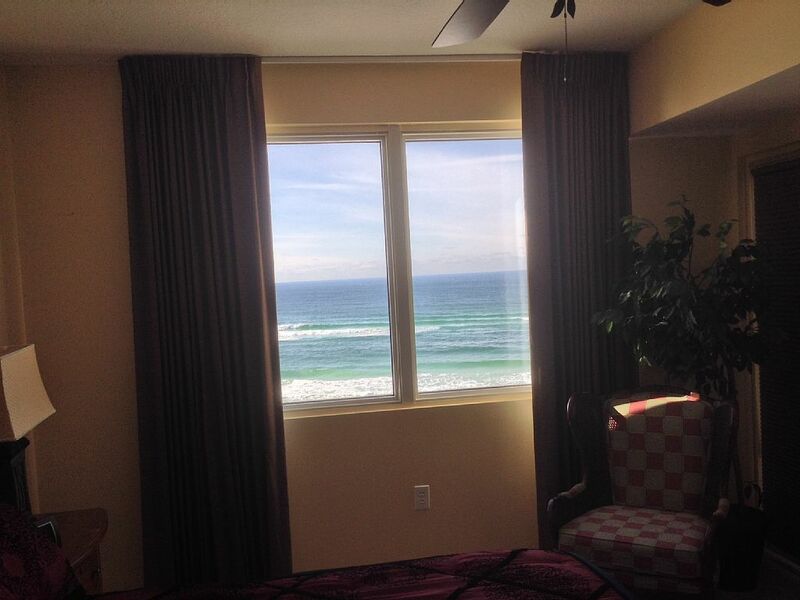 This room also offers ocean views and a large closet. 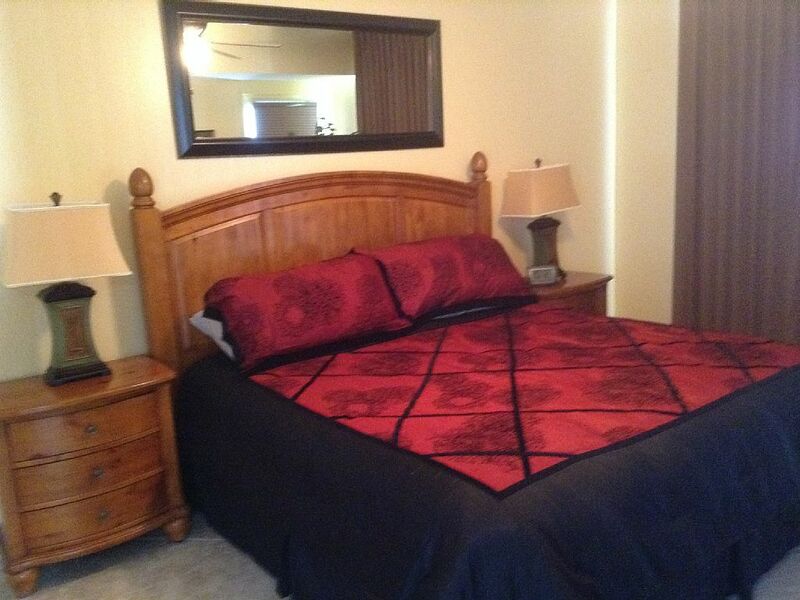 -The 2nd bedroom has a queen bed and a nice closet. 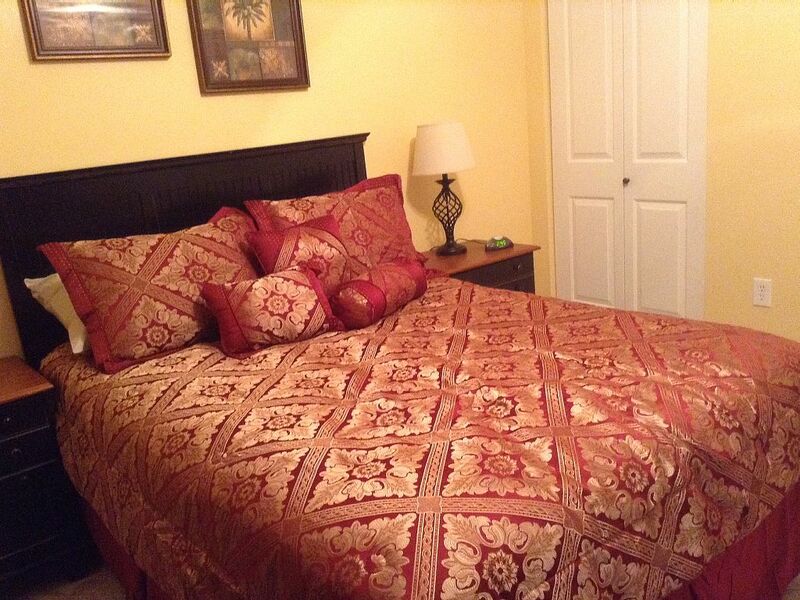 -The master bedroom features superb water views, balcony access, a king bed, and large closet. 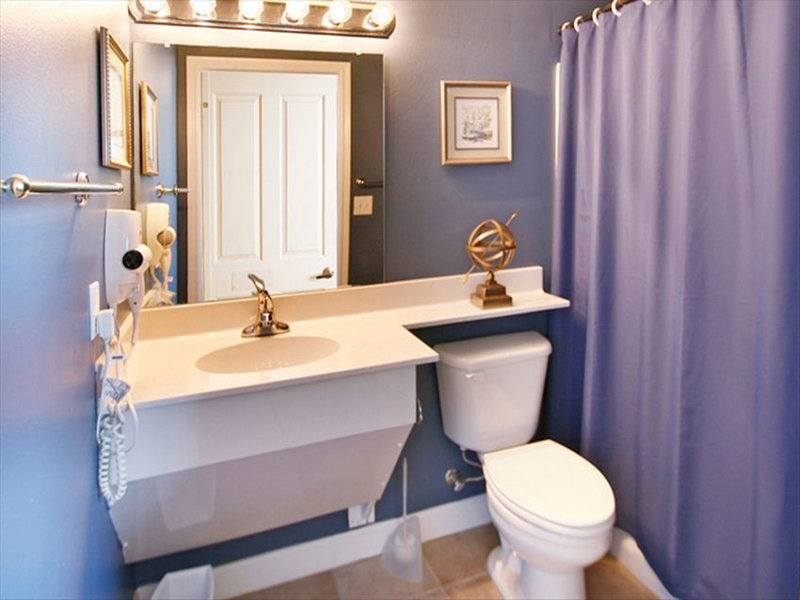 -There are 3 bathrooms – one connected to each bedroom for convenience. 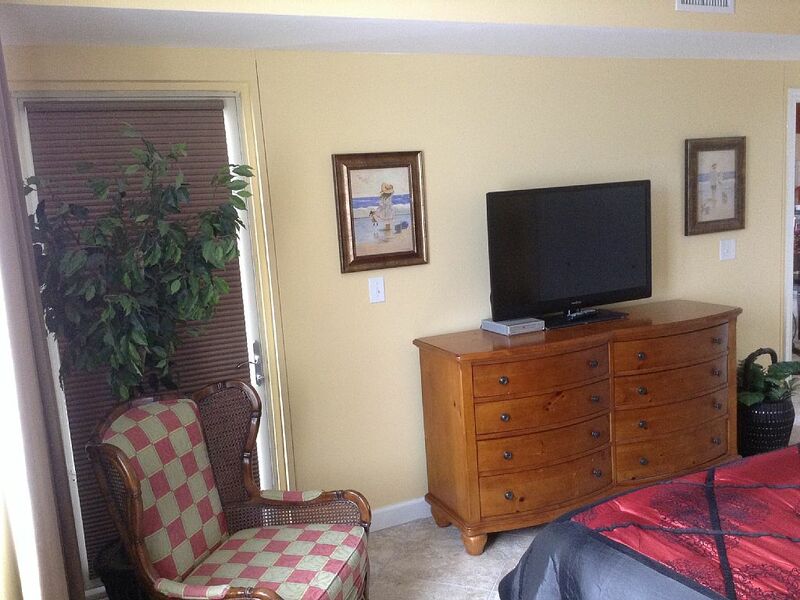 -Free high speed wireless internet, washer and dryer, ceiling fans throughout, in-unit phone, blow dryers, iron and ironing board are all included. 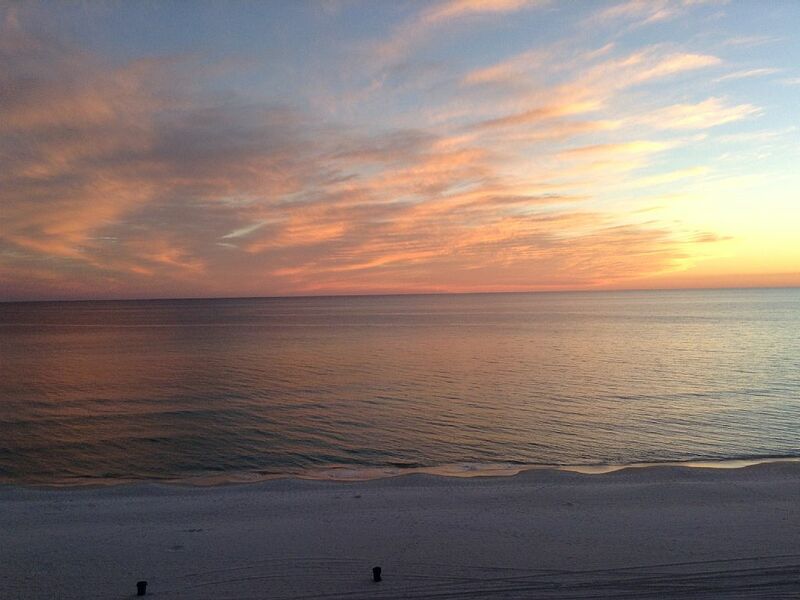 Shores of Panama and unit 601 offers you the best that Panama City Beach has to offer. 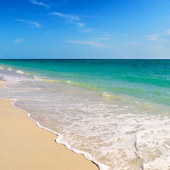 In addition to being on the “Worlds Most Beautiful Beach” you are across the street from Walmart and near retail shopping, groceries, pharmacies, fantastic restaurants and much more. Come on down and have the vacation of a lifetime! 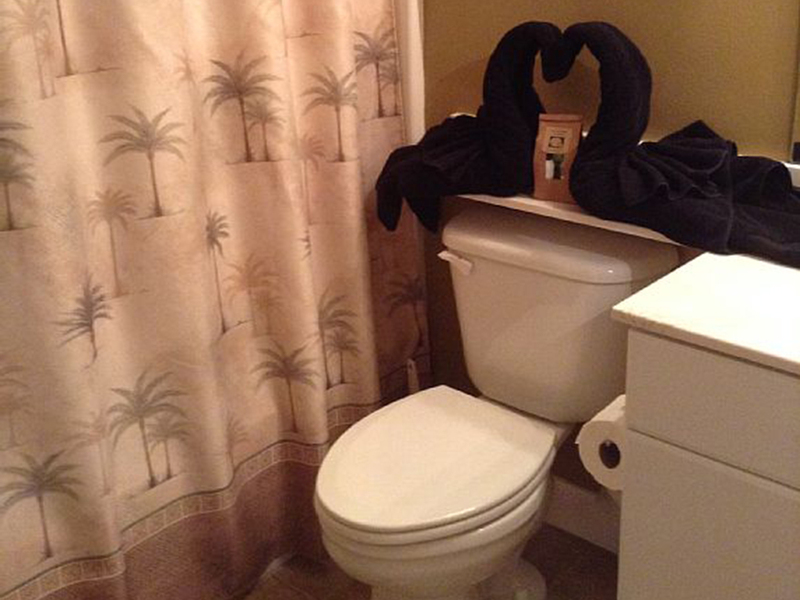 Rental during Spring Break and Summer is from Saturday to Saturday only. STRICT AGE REQUIREMENT: Must be 25 years or older to rent. 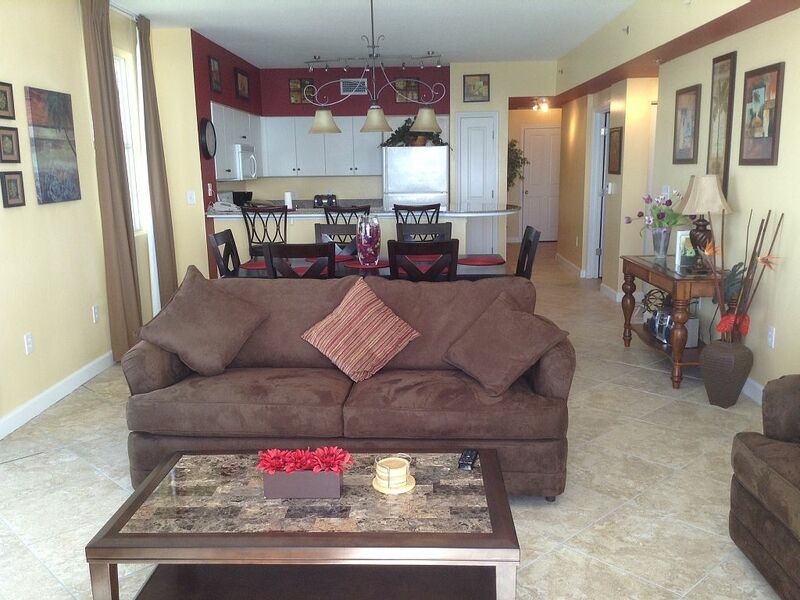 This condo is very nice! Diane is great to deal with and makes her guest feel special. We loved the beach chairs Diana provided so appreciated. The view that awaits you when you walk through the door is amazing. Diane was wonderful to work with and the condo was just as expected! The view was spectacular and we enjoyed watching the dolphins, stingrays (or manirays?) in the mornings with our coffee before heading to the beach! the condo was very clean.. the parking right next to the door was awesome.. we really liked the fact it was on the 6th floor.. the view was great and the kids really liked the big pool.. would book again!